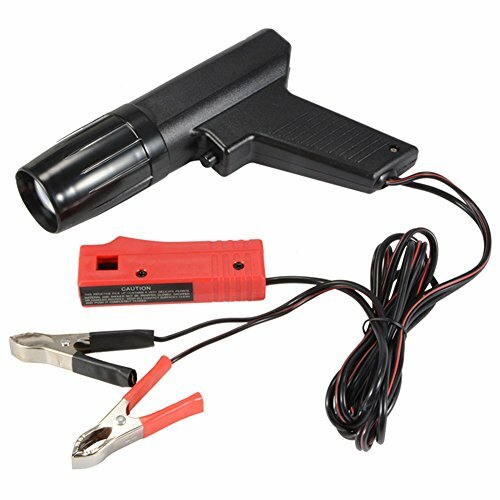 Automarketbiz Car Diagnostic-tool Car Ignition Test Engine Timing Gun Machine Light Hand Tools Repair Cylinder Detector Power Tester by Automarketbiz at Lazaranda Dallas. MPN: 3002102001. Hurry! Limited time offer. Offer valid only while supplies last. Suitable for automotive, agricultural, marine engines, easily operate on 12V ignition systems. Impact resistant ABS housing, reverse polarity protected, accurate up to 10000rpm. Focused lens provides concentrated light for high visibility of timing mark. Design to re-timing your cars ignition to get the best performance that. Detachable clamp-on inductive pick-up for easy and safe hookup. If you have any questions about this product by Automarketbiz, contact us by completing and submitting the form below. If you are looking for a specif part number, please include it with your message.